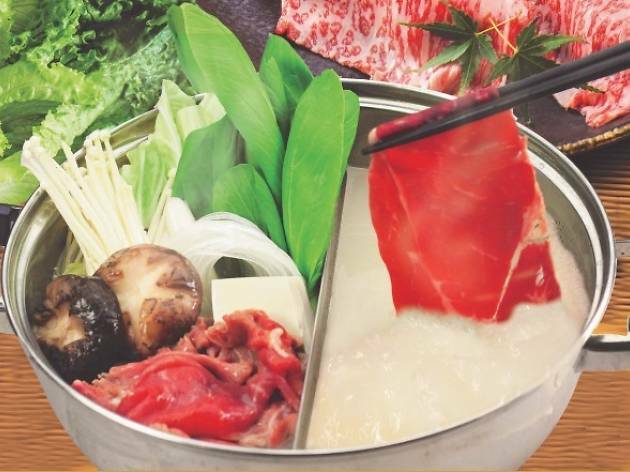 The Japanese hotpots on offer have nourishing soup bases that have been bubbling for over 10 hours, extracting the flavours and collagen from the bones and skin used, turning them into collagen pudding. The soup base is available in three flavours – chicken, pork or salmon miso ($16.90-$24.90). 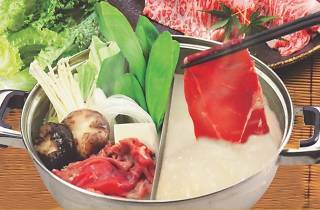 Dip your choice of veggie, condiments and sliced meat (beef, chicken or pork) into your collagen hotpot and eat to your heart’s content. On weekdays, collagen ramen bowls ($13.90), and collagen karaage and gyoza sets ($13.90) are available from 11.30am to 4pm, and come with complimentary bean sprouts and hard boiled eggs. À la carte dishes are only available during lunch.